pretzel dogs | Badudets Everything Nice! 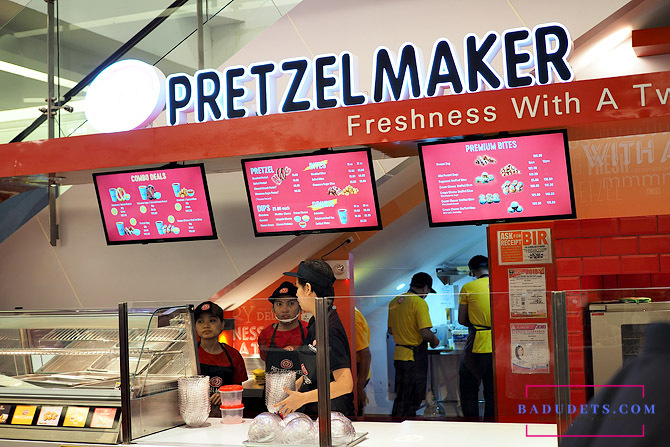 Pretzelmaker, home of the world’s best soft pretzel from the US, opened its first branch in Asia at Festival Mall, Alabang. Since 1991, Pretzelmaker has been rolling out freshly-baked and handcrafted pretzels – with a twist.